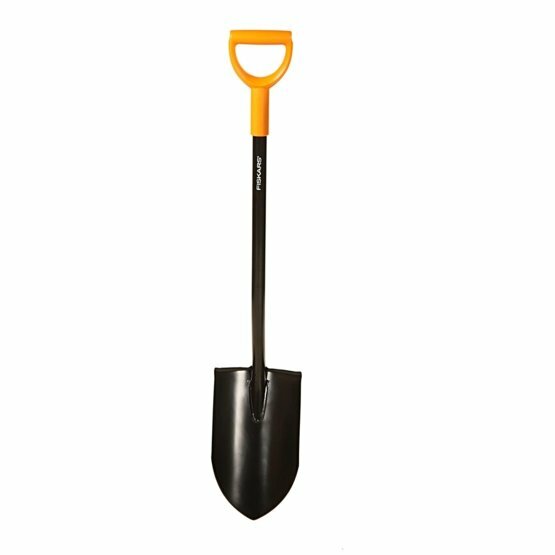 Fiskars ErgoComfort (Construction) Long Digging Spade is the ideal construction tool since it is good for digging in stony, clay and hard soils. The D shaped handle means that all hand sizes, with or without gloves, can easily use the range of products and the length of this tool is ideal for taller people. The rounded steel shaft has been designed to make it extremely durable while the welded connection between the blade and the shaft ensures rigid durability - just what you need on a building site. This spade has been equipped with a special plastic coated sleeve on the shaft for more comfort. The boron steel construction adds extra strength and makes penetration into the soil easier and faster.